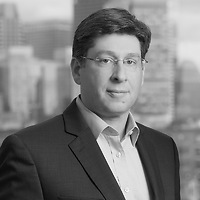 Ian Roffman, a member of the firm’s Securities Litigation and Government Investigations practice groups and a former SEC trial attorney, was featured in the Boston Business Journal’s column Outside The Box on August 28. Ian discusses his experience working in the Securities and Exchange Commission’s enforcement division where he tackled many high-profile cases. When asked what advice he would give to a corporation facing an investigation, Ian said to take the government’s concerns seriously and address them head on.